As a Christian who grew up in the church and in a Christian family, I have seen many various ways that Christians respond to the cultural phenomenon that has become Halloween. Like many things in life, there are extreme ways to celebrate (or not celebrate) something. Some Christians avoid Halloween and anything having to do with it altogether. Others celebrate the not-so-holy “holi”day by jumping in with the rest of culture like it’s no big deal. Instead of saying that I fall somewhere in the middle, I would rather like to view Halloween from the larger Christian perspective of redemption – and say that there are ways to redeem (which literally means “to buy back”) Halloween. First of all, Halloween is like Mardi Gras – it celebrates the day before a Christian holiday and tends to diametrically oppose the Christian holiday in some way shape or form. Mardi Gras (“fat tuesday”) is the day before Ash Wednesday, which is the beginning of Lent. Since Lent is a season that many Christians fast from something, Mardi Gras has turned into a celebration of the excesses of worldly pleasure before taking time to fast from something. With Halloween, it sits the day before All Saints Day (November 1st). In fact, Halloween literally means “All Hallows (Saints) Eve,” which gives us “Hallow-een.” While All Saints Day celebrates the great cloud of Godly witnesses who have gone before us, Halloween has become a celebration of the opposite – the evil dead, the spirits of the wicked, and all sorts of other accompanying themes like demons and witches. I find it interesting that both celebrations (Mardi Gras and Halloween) are secular responses to an original Christian holiday, not the other way around. Both are only there because the Christian holiday was there first. So as Christians, I feel that we can approach both of these celebrations in a redemptive way – knowing that Halloween simply means that we are about to approach All Saints Day and Mardi Gras means that Lent is right around the corner. I also believe that we as Christians can participate in many of the cultural traditions of both celebrations without selling out our faith. In fact, I think both are opportunities to “buy back” the days and engage our communities with the redemptive love and message of Jesus Christ. So do I think it’s wrong for your child to dress up and ask for candy – of course not. I think the general consensus (including among Christians today) is that playing dress-up and asking others for candy is harmless (except for the whole sugar-overload thing). But I do believe there is a line that we as Christians should draw in terms of not exposing our children (or ourselves) to images, costumes, and activities that celebrate evil, wickedness, and horror. 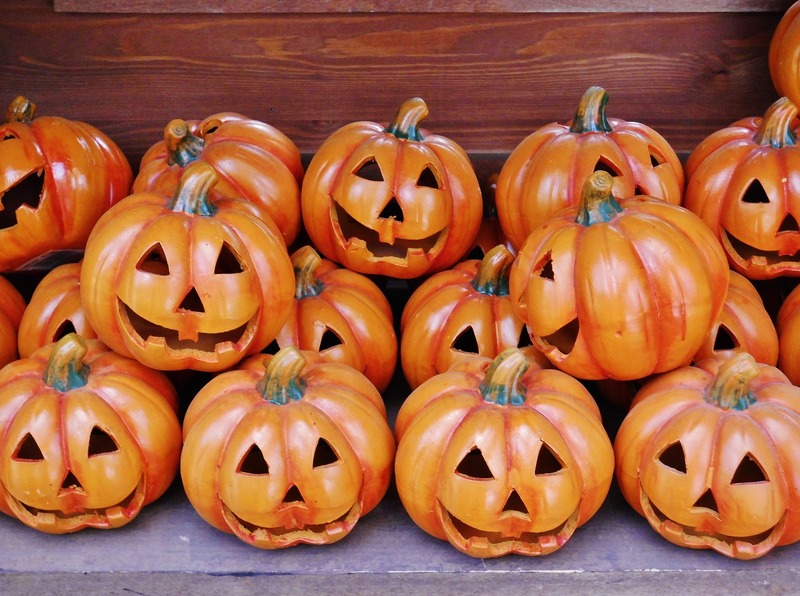 Reverse Trick-or-Treat – I heard of this idea years ago from the Cincinnati Vineyard Church. They would encourage their congregation to use Halloween night as a great chance to meet neighbors door-to-door and give something away (like bottles of water or even candy) at each house along with a neighborly greeting. They would encourage people to simply say something like, “Here’s a bottle of water. I just wanted to show you God’s love in a practical way.” No pushy sales talk. Just loving your neighbors (isn’t that what Jesus told us to do?). Historical Figure Dress Up – I just heard of this from a Christian school near my house called Veritas School. They had the students dress up as their favorite characters from history – whether Biblical or otherwise. They had everything from Jonah to Thomas Jefferson. What a great way to let your kids have fun and learn the stories of fascinating figures from history. Trunk-or-Treat – You have probably heard of this. A church or other organization will have a big tailgate party in their parking lot and each car gets decked out in decorations and candy. The kids can then go from car to car and get their spoils. This is a great idea for community outreach since it is safe and open to the wider community. Some of these events also include ways for people in the community to learn more about the church and the message of God’s love for them in various ways. Fall Festival – This is also very common. It is a great way to throw a big end-of-October party without calling it “Halloween”! Kids don’t care and won’t feel like they’re missing out on anything because they still get to dress up (sometimes with a “no scary costumes” caveat, which is fine), ride hay rides, bob for apples, and walk the cake walk. Celebrate the season of God’s provision of the harvest! Just-Hang-Out-On-Your-Front-Porch – I made this title up. But it is the idea of being present with your neighbors in a culture when most people just drive into their garages and never even wave at their neighbors. Halloween is a great opportunity to do something revolutionary like meet your neighbor. You can’t love your neighbor unless you first meet them. Chances are that they will drop by for a moment while their kids ask for candy. Take the opportunity to greet them and love them with the love of Christ. Chill on the porch and enjoy the opportunity to build a bridge with people that you usually otherwise may never meet. I would recommend having substantial gifts and treats that represent generosity! Great post, Jesse. I have had the conversation several times in the past with fellow Christians that our legitimate concerns about certain aspects of Halloween should be lower on the list than passing up on an opportunity to engage our neighbors and break the myth that we are against fun. Great list of 5. Thanks, Monty. Great to hear from you. Hope you and your family are well. Great pics of FallFest from Open Door Christian School in Graham, Tx! We tremendously enjoyed having you and still think about the great illustrations you used on Sunday morning at Oak Street Baptist. God bless you and yours as you continue the journey! Thank you, Pastor Joe. I had a wonderful time at your church. Everyone was very hospitable and encouraging to me. God bless you and your ministry as well! Next Next post: What Kind of Fruit Did Adam and Eve Eat?